Bamford, A.J., Razafindrajao, F., Young, R.P., Hilton, G.M. 2017. Profound and pervasive degradation of Madagascar’s freshwater wetlands and links with biodiversity. PLoS ONE 12, 8: e0182673. CITES 2017a. Sixty-ninth meeting of the Standing Committee. Geneva (Switzerland), 27 November – 1 December 2017. Malagasy ebonies (Diospyros spp.) and palisanders and rosewoods (Dalbergia spp.) Report of Madagascar (changes are underlined). CITES 2017b. Sixty-ninth meeting of the Standing Committee. Geneva (Switzerland), 27 November – 1 December 2017. Malagasy ebonies (Diospyros spp.) and palisanders and rosewoods (Dalbergia spp.) Report of the Secretary. Donati, G., Santini, L., Eppley, T.M., Arrigo-Nelson, S.J.Balestri, M., et al. 2017. Low levels of fruit nitrogen as drivers for the evolution of Madagascar’s primate communities. Scientific Reports 7: #14406. Froyd, C. A., Lee, J. A., Anderson, A. J., Haberle, S. G., Gasson, P. E. and Willis, K.J. 2010. Historic fuel wood use in the Galápagos Islands: identification of charred remains. Vegetation History and Archaeobotany 19, 3: 207–217. GFW. 2017. Global Forest Watch, Country = Madagascar. Lamichhaney, S., Han, F., Webster, M. T., Andersson, L., Grant, B. R. and Grant, P. R. 2017. Rapid hybrid speciation in Darwin’s finches. Science 358: eaao4593. Léonard, H. 2017. Betafo – Un camion de palissandre saisi. L'Express de Madagascar 26 XII 2017: 11. Moore Gerety, R. 2017. Logjam: Inside Madagascar’s illegal-rosewood stockpiles. Mongabay 8 XI 2017. Peñuelas, J., Janssens, I. A., Ciais, P., Obersteiner, M., Krisztin, T., et al. 2017. Increasing gap in human height between rich and poor countries associated to their different intakes of N and P. Scientific Reports 7: #17671. Pierron, D., Heiske, M., Razafindrazaka, H., Rakoto, I., Rabetokotany, N., et al. 2017. Genomic landscape of human diversity across Madagascar. Proceedings of the National Academy of Sciences of the United States of America 114, 32: E6498–E6506. Randrianja, S. (Ed.) 2012. Madagascar, le Coup d’État de Mars 2009. Éditions Karthala, Paris. Razafy, M. 2017a. Braconnage dans une aire protégée - Un député Hvm pris en flagrant délit. La Vérité 17 VII 2017. Razafy, M. 2017b. Ville d’Ambatondrazaka - Le journal « La Vérité » censuré. La Vérité 17 IX 2017. Waeber, P. O. and Wilmé, L. 2013. Madagascar rich and in-transparent. 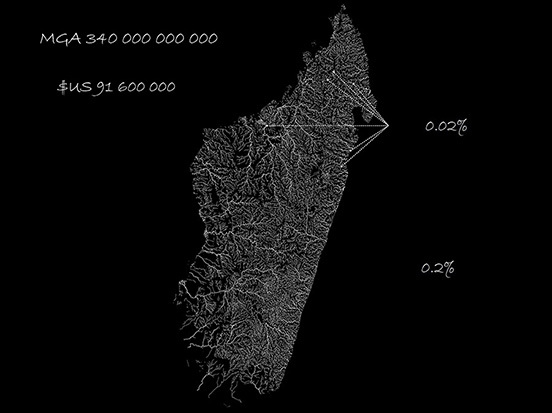 Madagascar Conservation & Development 8, 2: 52–54. Waeber, P. O., Wilmé, L., Mercier, J. R., Camara, C. and Lowry II, P. P. 2016. How effective have thirty years of internationally driven conservation and development efforts been in Madagascar? PloS ONE 11, 8: e0161115.